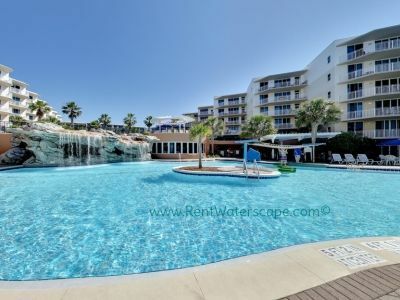 Waterscape's best rated condos, offered directly from the owner. 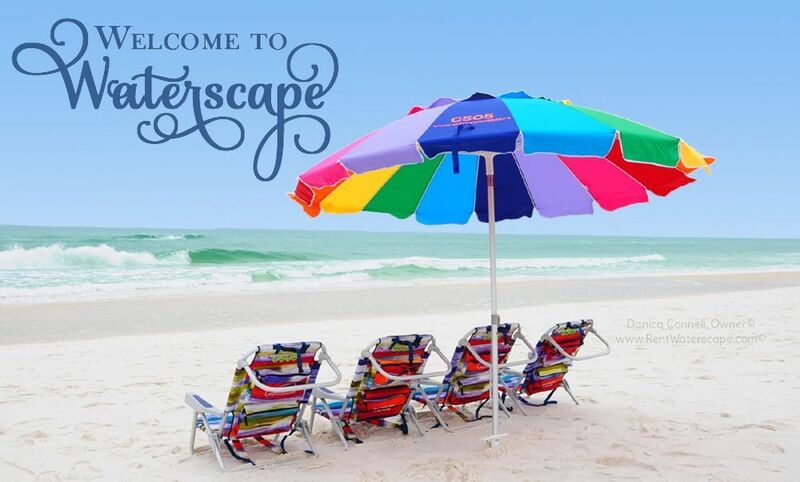 Welcome to Waterscape! 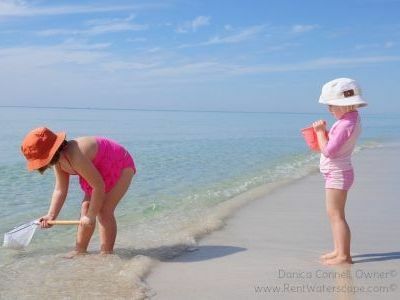 We are located on Okaloosa Island in Destin/Ft. 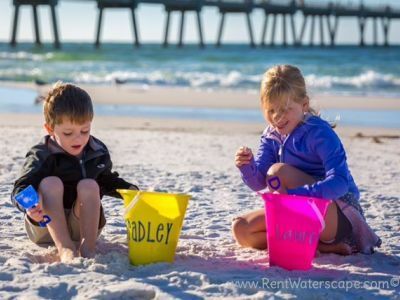 Walton Beach, Florida. 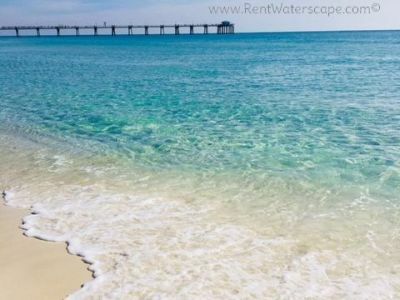 The four properties offered below are the best reviewed condos in the entire resort. 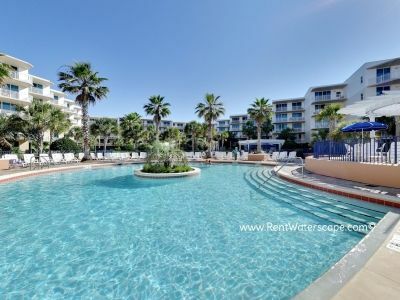 They are rented directly by the owner with no management fees. Best quality, best service, best price! 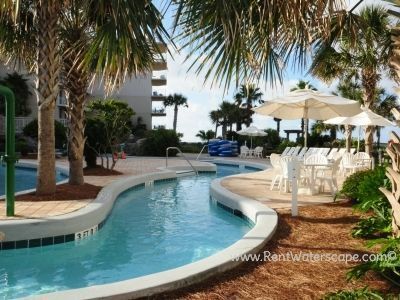 Waterscape is the premier resort on the Florida Panhandle. There is something exciting here for all ages! 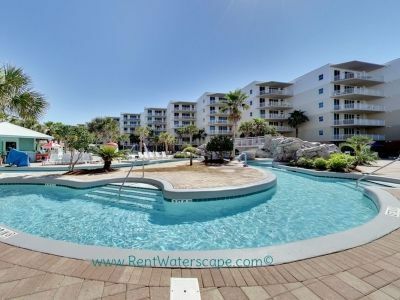 Kayak and paddle board now included in rentals from March through October ! A312 is our newest addition, purchased and remodeled in 2019. 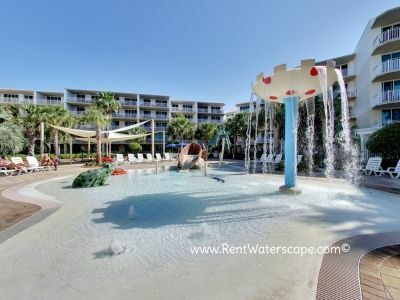 Located on the 3rd floor, it comes with a gorgeous beach, pool, & waterfall view! 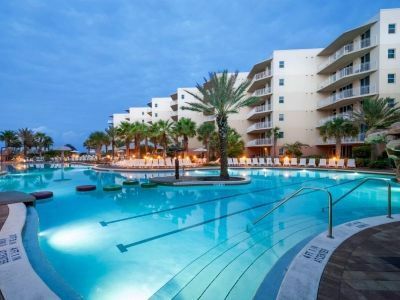 It's the first unit to the parking garage, the elevator, and the the pool & hot tub entrance on the A side. If patio relaxing is your thing, this is the unit for you. 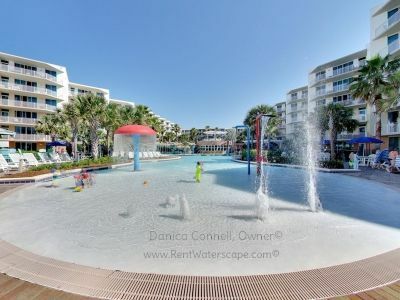 From this unit you will view the waterfall, zero-entry pool, lily pad course, hot tubs, lazy river, snack shack, and of course, the beautiful BEACH! B112 is on the ground floor and has a very private patio with a beautiful garden view. This unit is in a "prime" location and is larger than the C units. It contains two master suites and an extra half-bath. 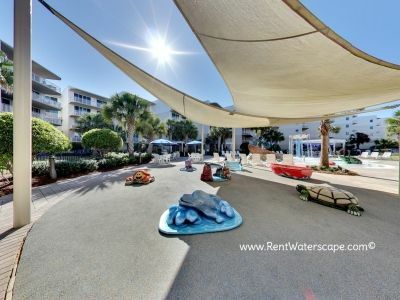 B112 contains Waterscape's only rope lighted bunkroom, where your children will love to hang out and watch their own TVs. 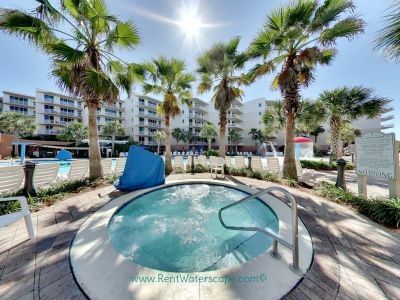 The first unit to the largest pool and only 6 units from the beach, B112's location is one of the most desireable in the resort. 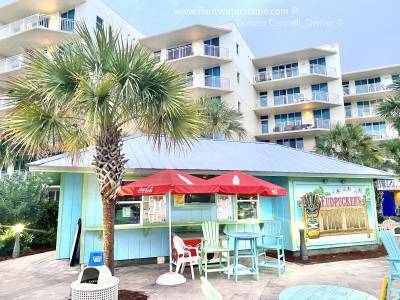 C203 is on the ground level, which opens up onto a large lawn where kids regularly play sports and games while Mom and Dad take care of the details of preparing meals or getting ready for the beach. 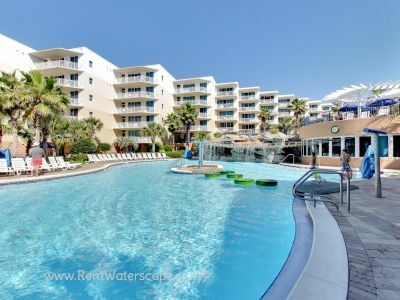 This unit has a gorgeous view of the palm trees and pools beyond, and sounds from the waterfalls will soothe you while you unwind on the patio. Seasoned visitors seek the convenience of the ground level units. C203 is the best rated unit in the entire complex. 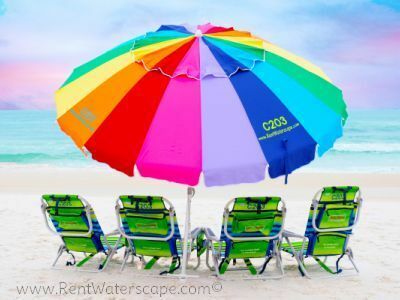 C505 is on the 5th floor and has amazing views of both the beach and the resort. This unit brings you Waterscape's only patio hammock, where you can relax as sounds of the waterfalls rush you off to sleep. This unit houses Waterscape's cutest bunk room, where your children will rest peacefully under the lantern lights of the Flamingo room. 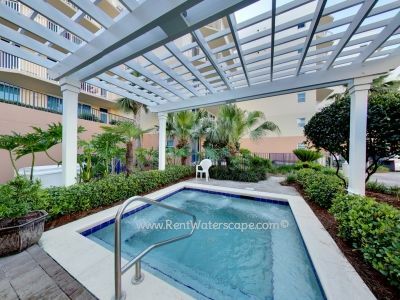 C505 is arguably the cutest condo in Waterscape. Each unit has 2 bedrooms, 2 (or 2.5) bathrooms, and a bunk room. 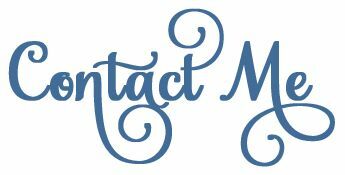 Click a unit to see pictures and info.